These quotes have been scrupulously checked for accuracy, but if you observe any mistakes, please let us know! Mrs. Bennet: Oh, young George Wickham is such a charming young man, is he not, my dear? Mr. Bennet: What? Oh, indeed he is. It was very good of him to entertain us so eloquently with stories about his misfortunes. With such narratives to hand, who would read novels? Elizabeth: But I believe he has truly been treated contemptibly by Mr Darcy, father. Mr. Bennet: Well, I daresay he has, Lizzy. Though Darcy may be no more of a black-hearted villain than your average rich man who is used to his own way. Come now, Jane, take comfort--next to being married, a girl likes to be crossed in love now and then. When is your turn to come, Lizzy? You could hardly bear to be long outdone by Jane. And here are officers enough in Meryton to disappoint all the young ladies in the country. Let Wickham be your man--he's a pleasant fellow, he'd jilt you creditably. Mrs. Bennet: I don't know what will become of us all, indeed I do not! And I cannot bear to think of Charlotte Lucas being mistress of this house! That I should be forced to make way for her, and see her take my place in it! Mr. Bennet: My dear, do not give way to such gloomy thoughts. Let us hope for better things. Let us flatter ourselves, that I might outlive you. There are few people whom I really love, and even fewer of whom I think well. The more I see of the world the more I am dissatisfied with it. Sir William: Capital, capital! Fine girls, are they not, Mr Gardiner? Mr. Gardiner: Indeed they are, Sir William. The two eldest in particular, perhaps? Sir William: Indeed, indeed. I think they would grace the court of St. James itself! But let us not forget the younger Miss Bennets! Mr. Bennet: Aye, aye. They have arms and legs enough between them. And are three of the silliest girls in England. Maria Lucas: Who is that girl dancing with Mr Wickham? Elizabeth: Her name is Mary King. She's come to stay with her uncle in Meryton. Maria: Oh. She's not very pretty, is she? Charlotte: Beauty is not the only virtue, Maria. She has just inherited a fortune of 10,000 pounds, I understand. Mrs. Gardiner: Now that is a definite virtue! Mr. Bennet: Well, Lizzy, on pleasure bent again. Never a thought of what your poor parents will suffer in your absence? Elizabeth: It is a pleasure I could well forego, father, as I think you know. But I shall be happy to see Charlotte again. Mr. Bennet: What of your cousin, Mr. Collins? What of the famous Lady Catherine de Bourgh herself? As a connoisseur of human folly, I should have thought you impatient to be savoring these delights. Elizabeth: Of some delights, I believe, sir, a little goes a long way. Mr. Collins: Observe that closet, cousin Elizabeth. What do you say to that? Mr. Collins: Is it not the very essence of practicality and convenience? Lady Catherine de Bourgh herself was kind enough to suggest that these shelves be fitted exactly as you see them there. Elizabeth: Shelves in the closet! Happy thought indeed. Maria: Lizzy! Lizzy! Come into the dining room, for there is such a sight to be seen! Make haste! Elizabeth: Is this all? I expected at least that the pigs had got into the garden! Here is nothing but Lady Catherine and her daughter. Lady Catherine de Bourgh: Do you have brothers and sisters, Miss Bennet? Elizabeth: Yes, ma'am, I am the second of five sisters. Lady Catherine: Are any of your younger sisters out? Elizabeth: Yes, ma'am, all of them. Lady Catherine: All?! What? All five out at once? The younger ones out before the older are married? Your youngest sisters must be very young? Elizabeth: Yes, ma'am, my youngest is not sixteen. Elizabeth: She is full young to be out much in company. But really, ma'am, I think it would be very hard upon younger sisters, that they not have their share of society and amusement, simply because their elder sisters have not the means or inclination to marry early. Sir William, wouldn't you agree? Lady Catherine: Upon my word! You give your opinion very decidedly for so young a person. Pray, what is your age? Elizabeth: With three younger sisters grown up, your ladyship can hardly expect me to own it. Lady Catherine: Miss Bennet, you cannot be more than twenty, I am sure. Therefore there is no need to conceal your age! Elizabeth: I am not one and twenty. You will never play really well, Miss Bennet, unless you practice more. You may come to Rosings as often as you like, and play on the pianoforte in Mrs Jenkinson's room. She would be in nobody's way in that part of the house. Elizabeth: Your cousin would teach you not to believe a word I say, Colonel Fitzwilliam. That is ungenerous of him, is it not? Elizabeth: Impolitic too, for it provokes me to retaliate and say somewhat of his behavior in Hertfordshire which may shock his relations. Mr. Darcy: I'm not afraid of you. Col. Fitzwilliam: What have you to accuse him of? I should dearly like to know how he behaves among strangers. 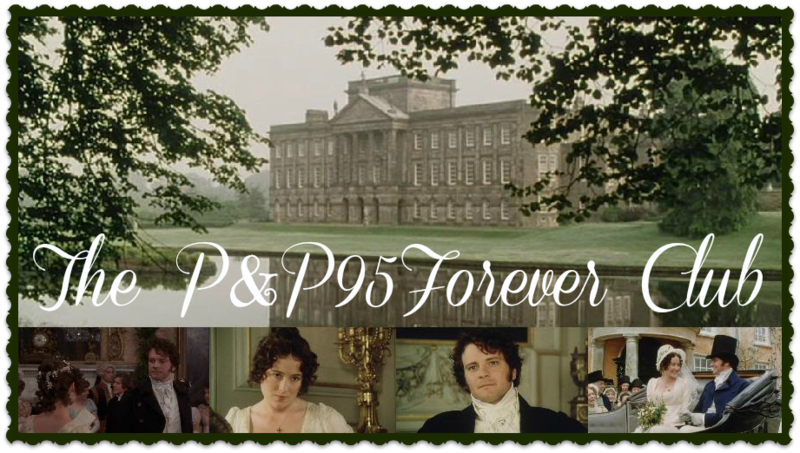 Elizabeth: First time I ever saw Mr Darcy was at a ball, where he danced only four dances, though gentlemen were scarce, and more than one lady was in want of a partner. I am sorry to pain you, but so it was. Col. Fitzwilliam: I can well believe it! Mr. Darcy: I fear I am ill-qualified to recommend myself to strangers. Elizabeth: Shall we ask him why? Why a man of sense and education, who has lived in the world, should be ill-qualified to recommend himself to strangers? Mr. Darcy: I'm... I have not that talent which some possess, of conversing easily with strangers. Elizabeth: I do not play this instrument so well as I should wish to, but I have always supposed that to be my own fault, because I would not take the trouble of practicing. What are you talking of? What are you telling Miss Bennet? I must have my share in the conversation! Mr. Darcy: In vain I have struggled, it will not do. My feelings will not be repressed. You must allow me to tell you how ardently I admire and love you. In declaring myself thus I'm aware that I will be going expressly against the wishes of my family, my friends, and, I hardly need add, my own better judgment. The relative situation of our families is such that any alliance between us must be regarded as a highly reprehensible connection. Indeed, as a rational man I cannot but regard it as such myself, but it cannot be helped. Almost from the earliest moments of our acquaintance, I have come to feel for you... a passionate admiration and regard, which despite all my struggles has overcome every rational objection and I beg you, most fervently, to relieve my suffering and consent to be my wife. Elizabeth: In such cases as these, I believe the established mode is to express a sense of obligation. But I cannot. I have never desired your good opinion, and you have certainly bestowed it most unwillingly. I'm sorry to cause pain to anyone, but it was unconsciously done, and I hope will be of short duration. Mr. Darcy: And this is all the reply I am to expect? I might wonder why, with so little effort at civility, I am rejected. Elizabeth: I might wonder why, with so evident a desire to offend and insult me, you chose to tell me that you like me against your will, your reason, and even against your character! Was this not some excuse for incivility if I was uncivil? Mr. Darcy: And this is your opinion of me? My faults by this calculation are heavy indeed. But perhaps these offences might have been overlooked, had not your pride been hurt by the honest confession of the scruples which long prevented my forming any serious design on you. Had I concealed my struggles and flattered you. But disguise of every sort is my abhorrence. Nor am I ashamed of the feelings I related. They were natural and just. Could you expect me to rejoice in the inferiority of your connections? To congratulate myself on the hope of relations whose condition in life is so decidedly below my own? Elizabeth: You are mistaken, Mr Darcy. The mode of your declaration merely spared me any concern I might have felt in refusing you, had you behaved in a more gentlemanlike manner. You could not have made me the offer of your hand in any possible way that would have tempted me to accept it. From the very beginning, your manners impressed me with the fullest belief of your arrogance, your conceit, and your selfish disdain for the feelings of others. I had not known you a month before I felt you were the last man in the world whom I could ever marry!